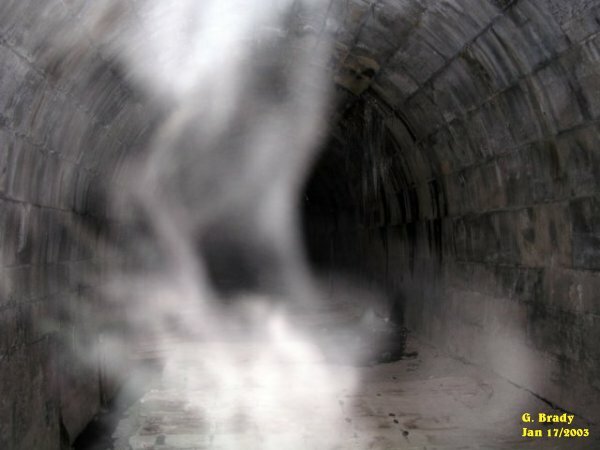 We had a good experience from last weekend at the BGT, and after using the OUIJA BOARD and finding out what other spirits lurk at the tunnel, we thought this would be a good trip to re-investigate the tunnel. We met up with Wendy and Rick that live near the tunnel and we went in as a group. 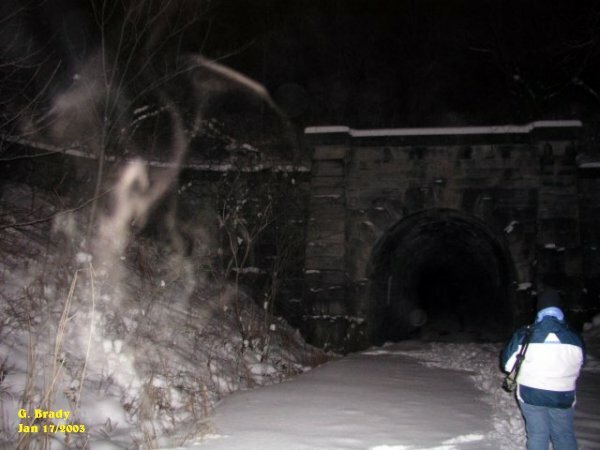 When we approached the entrance to the Blue Ghost Tunnel it seemed to be very bright. I took this photo and came up with some strange activity around the entrance. 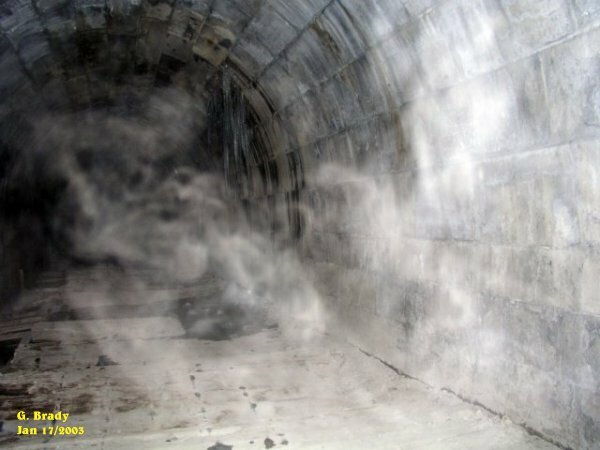 I took a few more pictures and came up with nothing, then I managed to capture this photo of a spirit by the tunnel, on the left side. 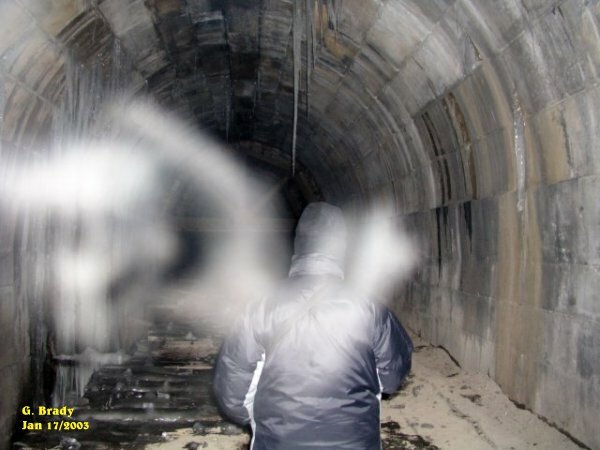 When I had viewed this photo on the camera it looked like there was a large amount of strong energy coming from inside the tunnel. Looking at it on the computer it seems this energy was just forming outside of the entrance. 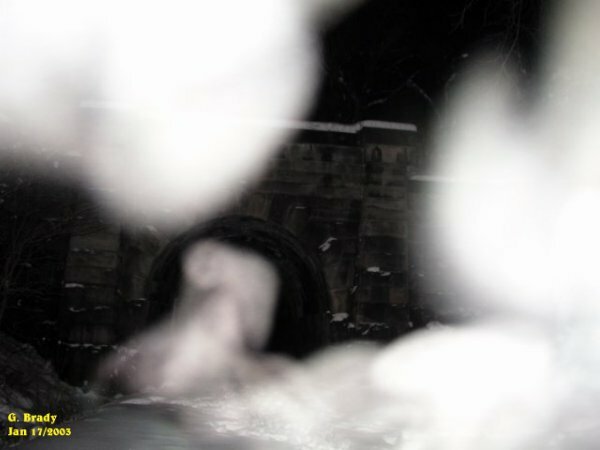 Cathy had wandered on down to the end of the tunnel and took this picture of the ice formation. The ice in the tunnel this week had blocked off the very back. 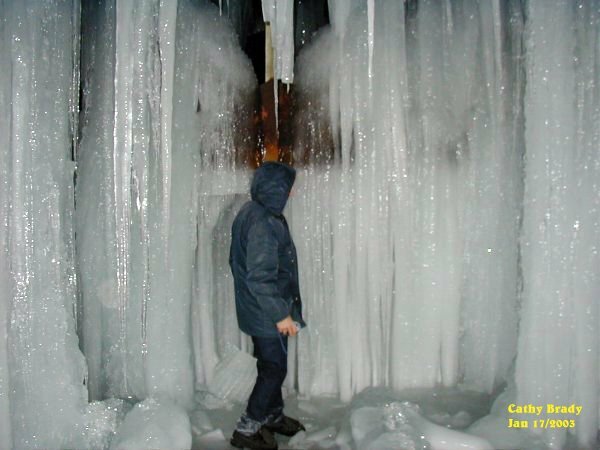 It was almost a solid wall of ice where as last week we could reach the end of the tunnel. I had gone up to where Cathy was and took this picture of an energy form going across her back. 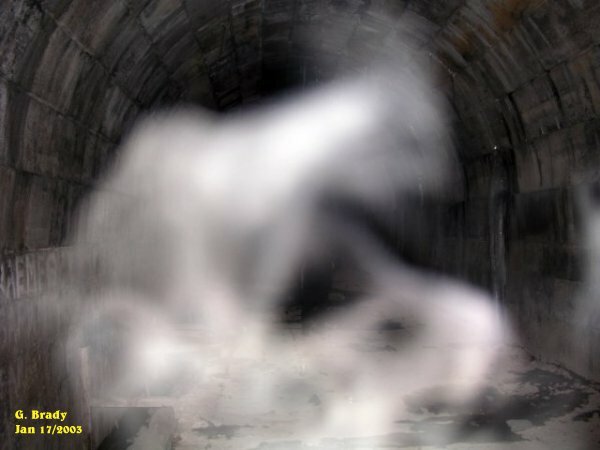 Just to the left it appears as a skull head of something was formed in ecto mist. After using the OUIJA board and learning more of the possible spirits that could be at the tunnel we used some of the names of the dogs that occupy the tunnel along with using the name of BM (Wayne) and Tucker and Paula. As soon as we started to call out these names we could feel an increase in the activity in the tunnel. 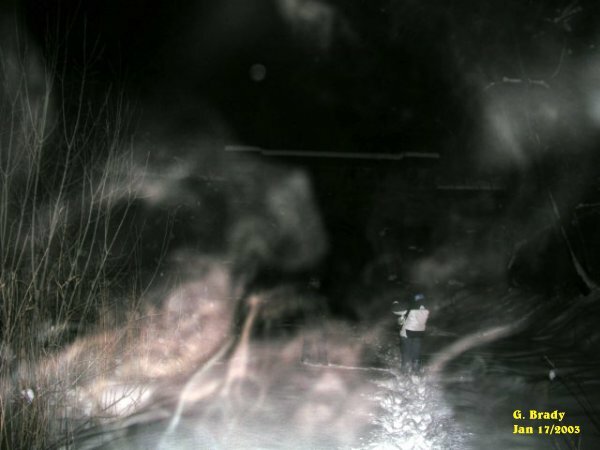 To the left of the ecto mist you can see a faint form of a person slightly bending over along with a dog jumping up on the person. After calling the names of the dogs that may occupy the tunnel I took this photo. It appears there is a large dog in the middle of the photo in a sitting position. Shortly after, this photo was taken. But this time it seems a jungle cat appeared in this shot. The head seems to be that of a feline type animal.